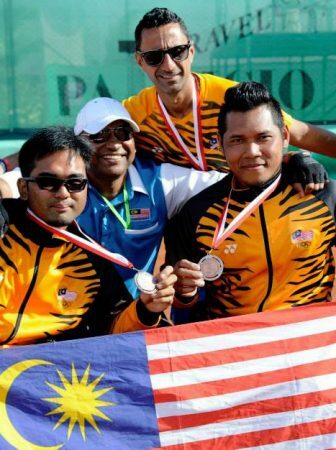 Kikuo Ibe, the Father of G-SHOCK (center) flanked by Malaysian performers at the Shock the World KL party. 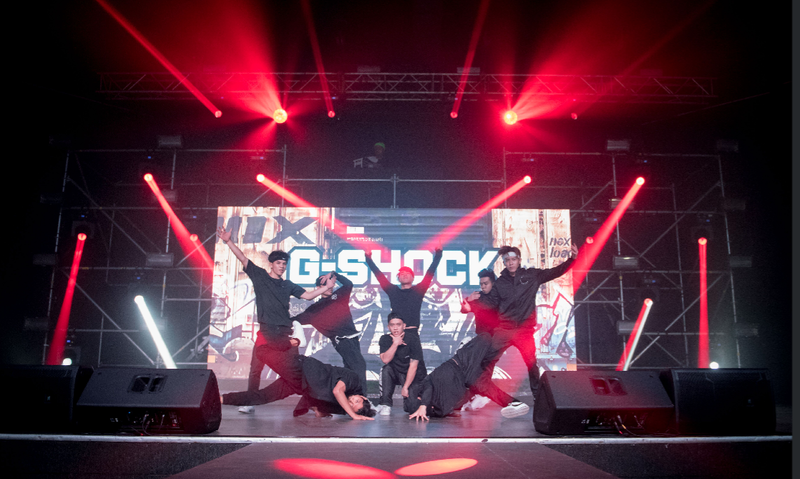 After it’s official 35th Anniversary Launch in August 2018, G-Shock continued its 35th Anniversary Celebrations in Kuala Lumpur by hosting its annual Shock The World party at KL Life Centre. Shock The World’s surrounding theme and festivities this year was in celebration of 35 Years of G-SHOCK that saw some interesting partnerships and activations. 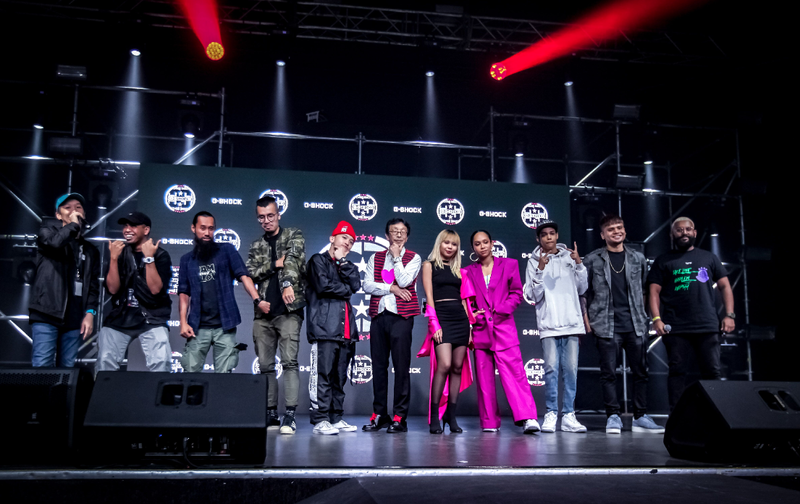 Hundreds of guests including VIPs, members of the media, retailers, and die hard GSHOCK fans turned up to the G-SHOCK themed party. 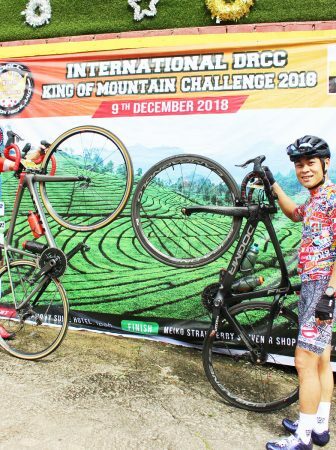 Excitement was abuzz with packed crowds, pumping music filling the air and B-Boy crews stunning party-goers with their hip and edgy breakdancing moves throughout the evening. 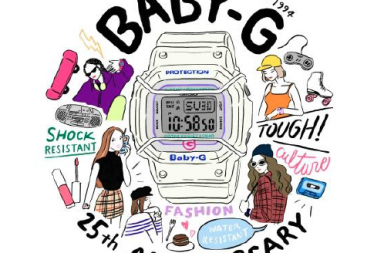 Prominent graffiti artist Kenji Chai’s interpretation of G-Shock’s Absolute Toughness (pic above) depicted in an eye-popping giant canvas was a regular hit with guests who found it irresistible to walk pass without snapping away with his masterpiece. 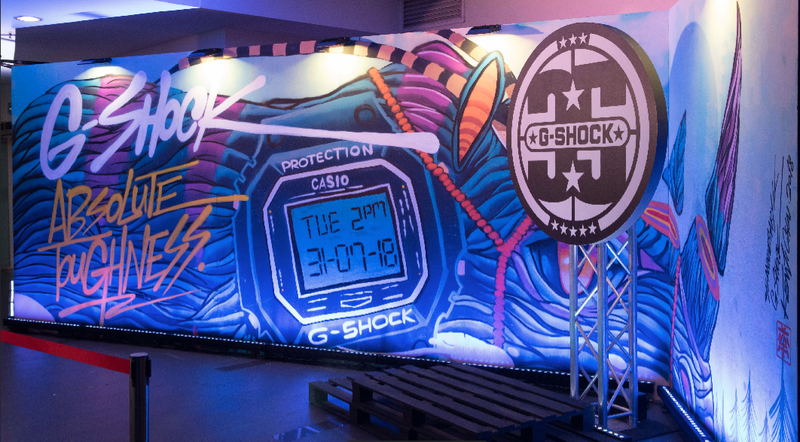 With approximately forty watches on display, the venue was transformed into an ultimate showcase of the latest Casio G-Shock timepieces, limited editions, collaborative pieces as well as exhibits showcasing the evolution of the G-SHOCK. 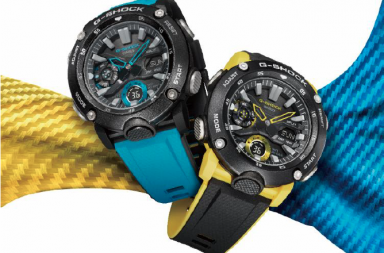 Marking the 35th Anniversary of G-SHOCK, Casio also took this opportunity to announce several additions to lines, models and exclusive collaborations. 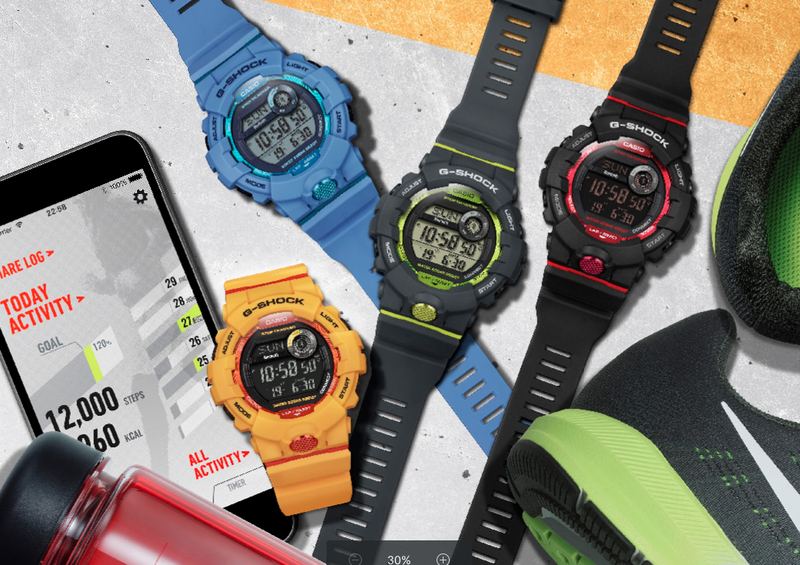 The new releases were the Glacier Gold 35th Anniversary G-SHOCK collection, the GRAVITYMASTER GR-B100 with Bluetooth, the G-SHOCK GBD-800 available in six models and the GW-5600 with Bluetooth available in three models. Exciting exclusive collaborations included collaborations with, according to the Guinness Book of World Records, the planet’s “Most Successful Virtual Act” – the Gorillaz. 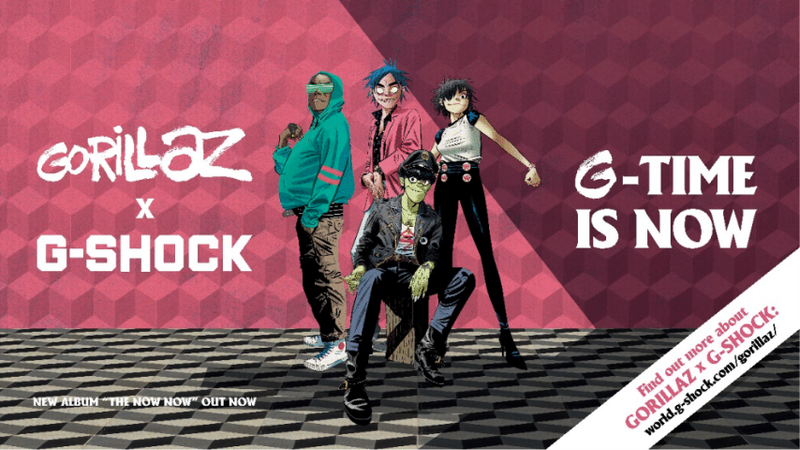 The GORILLAZ x G-SHOCK collaboration offers a series of special videos in which Gorillaz help G-SHOCK creator Kikuo Ibe realize his lifelong dream. 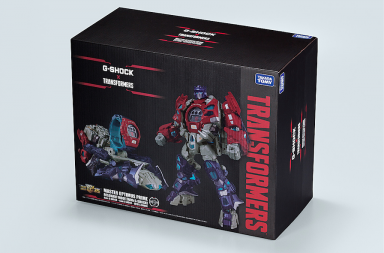 Another exclusive collaboration is with popular street fashion apparel brand, New Era of which a special 35th Anniversary GSHOCK x NEW ERA collaboration model was introduced. The G-SHOCK’s supreme reign over the world of watches when it comes to absolute toughness was celebrated to pop culture perfection. In true G-SHOCK style, the event saw the collision of sports, music, art and fashion colliding into explosive choreographic performances. The evening unfolded with a multitude of street-style performances which included local skateboarding legend Joe Ipoh who threw down some serious tricks, B-Boy Legosam and his crewmates battling it out on stage, rappers Ashtin and Lil J go head-to-head in a Rap Battle and turning up the heat were powerful live hip-hop and R&B performances by Zamaera, Kayda featuring Hunny Madu, Senna featuring Aliff and lastly, topping it all off was DJ Mizzkiya who kept the energy levels high all night long. 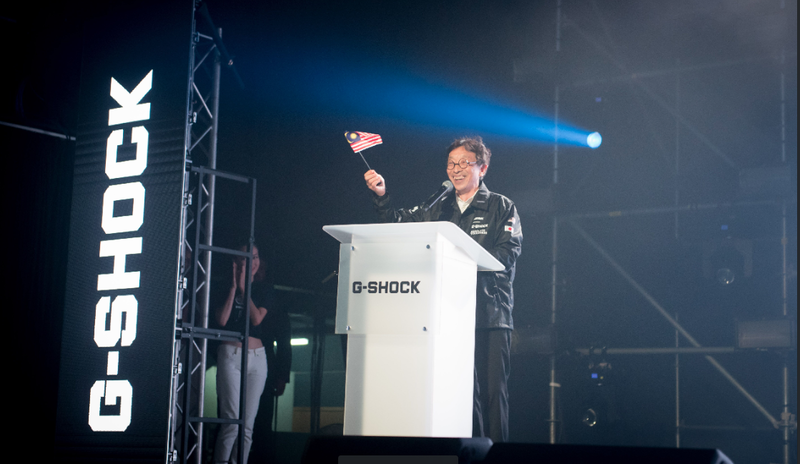 Naturally, for such an incredible milestone, Mr Kikuo Ibe, the Father of G-SHOCK was in attendance and took to the stage to thank everyone for their unwavering support. 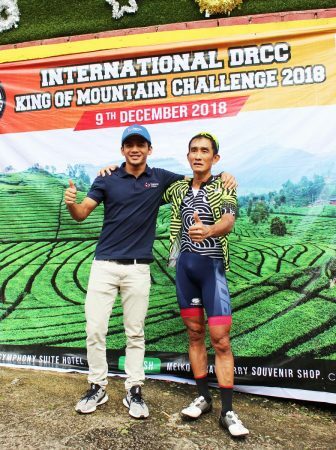 To show his appreciation, 35 autographed pieces of DW5600 Original watches signed by the man himself rained onto the stage and Mr Ibe and the performers threw them out into the crowds. Lucky guests went home delighted with their brand new autographed watches. Father of G-Shock, Kikuo Ibe.